Nintendo launched its ill-fated Wii U console in late 2012. 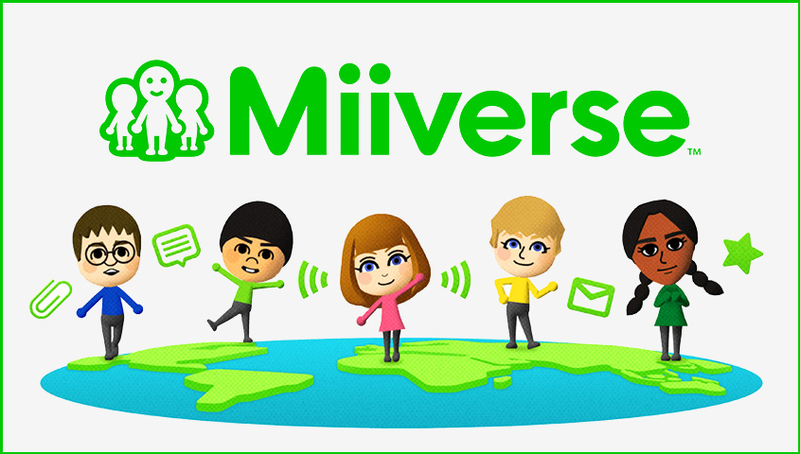 Among other features, the system introduced a social networking service called Miiverse that allows players to interact and share content using their avatar (it’s also accessible via systems in the 3DS family and from the Internet). Unfortunately, Miiverse never really morphed into what Nintendo had hoped for. When the Switch launched earlier this year without support for the social network, many realized that its days were numbered. Now, Nintendo has made it official. The Japanese gaming giant on Tuesday announced that it’ll be discontinuing its Miiverse service at 10 p.m. PST on November 7. Once the time arrives, you’ll no longer be able to access Miiverse from any device. Nintendo notes that users can request a download of all posts they’ve made up to the day of the closure. To do so, you’ll need to click the “Information on Downloading your Post History” link at the top of the Miiverse website. It’s worth pointing out that you’ll need to have a Nintendo Account linked to your Nintendo Network ID in order to download content (and of course, request to do so before the Miiverse service ends). Miiverse functionality was integrated into more than 100 games including Super Smash Bros., Deus Ex: Human Revolution – Director’s Cut and Mario Kart 8, just to name a few. IGN has an excellent write-up on how Miiverse’s discontinuation will affect popular titles. Nintendo didn’t supply any reasoning for its decision to shutter the service.